December has seen the beginning of the project ‘IoPPN Science of Addiction & Mental Health: Cannabis & Psychosis’, organised by Dr Kyle Dyer (Addiction department) and Dr Teresa Rodriguez (Basic and Clinical Neuroscience Department), funded by the KCL Widening Participation Team. During four sessions 14 students (year 10) from Swanlea school visited the IoPPN over two consecutive weeks. After an introduction to the project and training on how to film and conduct an interview, the students received information about cannabis and psychosis from IoPPN researchers including how cannabis works in the brain, how genetics/environments feed into risks, the role of neuroimaging in understanding brain function and our current knowledge about the link between cannabis and psychosis. 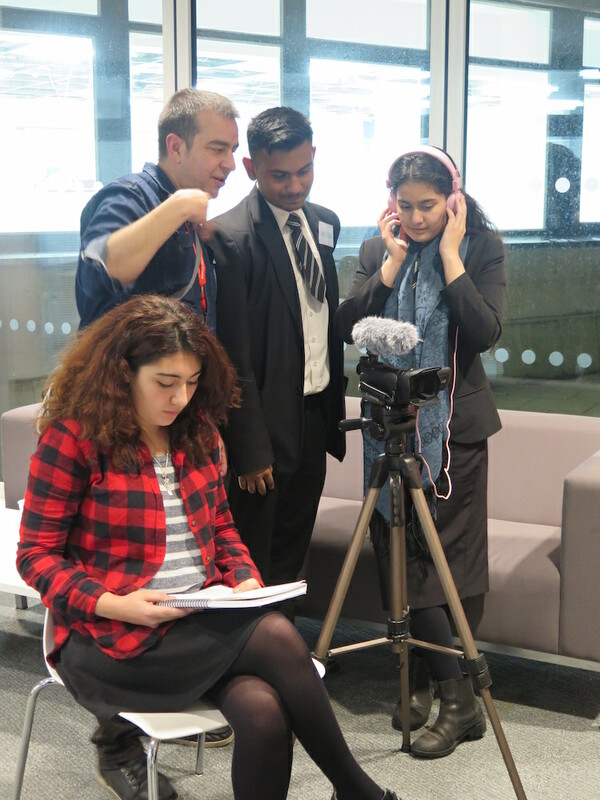 The students then conducted interviews with key researchers and educators, in order to produce a short film targeted at a young audience, capturing a behind-the-scenes feel to the science and education offered at the IoPPN. The final session was a creative encounter with two contemporary artists who inspired the students to produce some artwork related to the subject. The video is now being edited and will be ready in Spring-Summer 2016. Thanks to the IoPPN researchers who took part in the learning sessions (Michael Lynskey, Amir Englund, Vincent Giampietro, Rachel Barrett, Tiago Reis Marques, Paul Stokes, Charlotte Russell, Jon Robbins, Patrick Leman), the contemporary artists Dr Gareth Morgan and Daniela Raytchev, and Dr Conrad Iyegbe (Psychosis department) and Jen Wong (Science Gallery) for their help during the project.